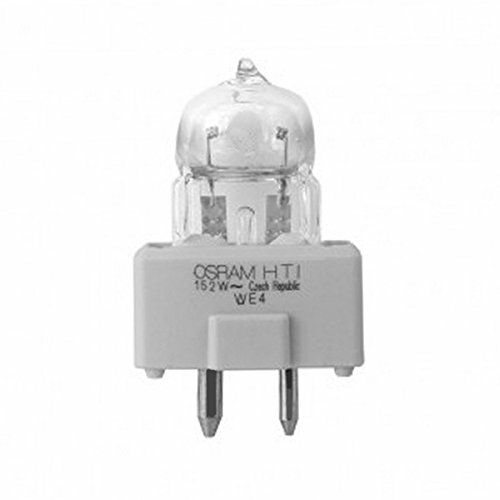 OSRAM HTI 152 short arc metal halide lamps are ready to meet the demands of any stage, architectural or event lighting application. The HTI152 Metal Halide lamps are available in various configurations, each of which offers high lumen output in combination with crisp daylight color temperatures in the range of 5600 to 7800K. For entertainment and stage lighting applications such as those involving automated fixtures, "HTI lamps" offer an excellent balance of color performance, lumen output and service life. HTI 152 lamp configurations include highly compact single-ended and focusing-reflector models.